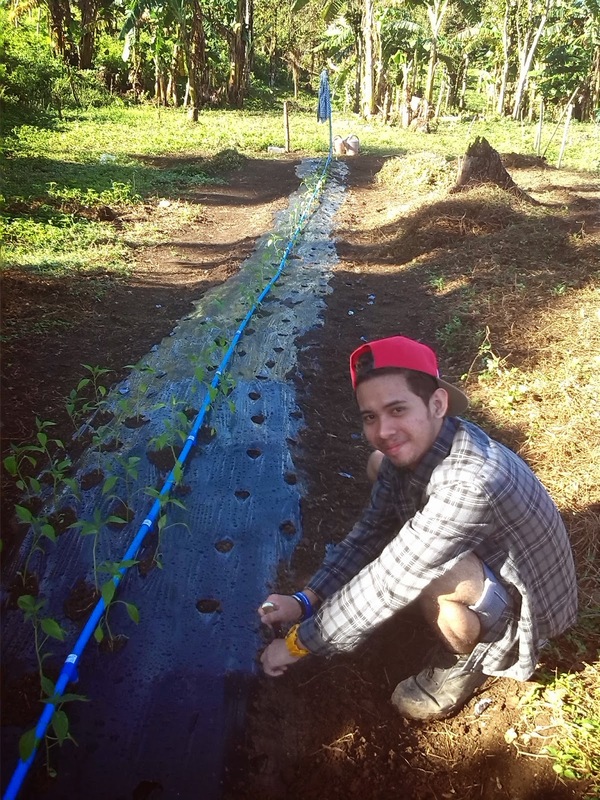 Last January 19, a few friends of mine helped in the farm. 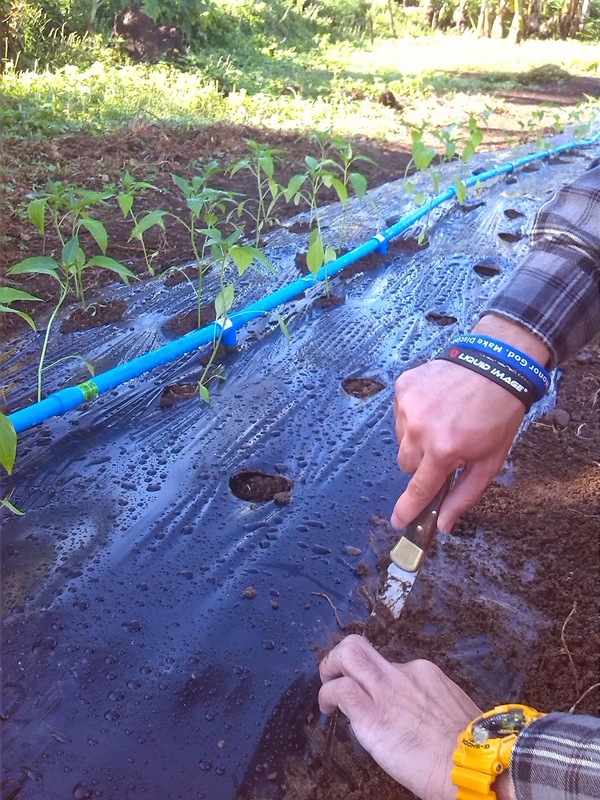 In the picture, plastic mulch - a layer of material rolled out on top of the raised-bed before seedlings are transplanted – is shown. Plastic mulch reduces evaporation by preventing sunlight from reaching the soil surface, thus keeping the plants well-watered. Plastic mulch prevents sunlight from reaching the soil which can hinder the growth of weeds – one of the enemies of your plants. Weeds choke the plants, entangle them and steal the soil’s nutrients away from them. Plastic mulch improves the visual appeal of the area by giving the planting beds a uniform, well-cared-for look. In discipleship terms, THE SOIL IS LIKE YOUR HEART. If your heart – thoughts, feelings and will, with its intents and choices - is always worn out or exhausted like a hardened soil, no seed will ever grow in it. It needs to be kept moistened. Furthermore, weeds may come in the form of worries that can choke you, or wealth that can deceive you, making you unfruitful (Matthew 13:22 rephrased). Lastly, the rigors of this life may just be too much for you, making your life disorganized and chaotic. The only way for you to survive this life as a follower of Christ is with an ample amount of PROTECTION. And that protection could be a combination of things - people you’re in accountability with who pray for you and speak into your life; spiritual disciplines like bible-reading and quiet time with the Lord that you do daily; or just plain and simple humility to acknowledge that you cannot do it on your own and that you need external intervention.